Central Basin Community Concert Association invites you to an evening of high energy classical music with comedy and a touch of slapstick!. 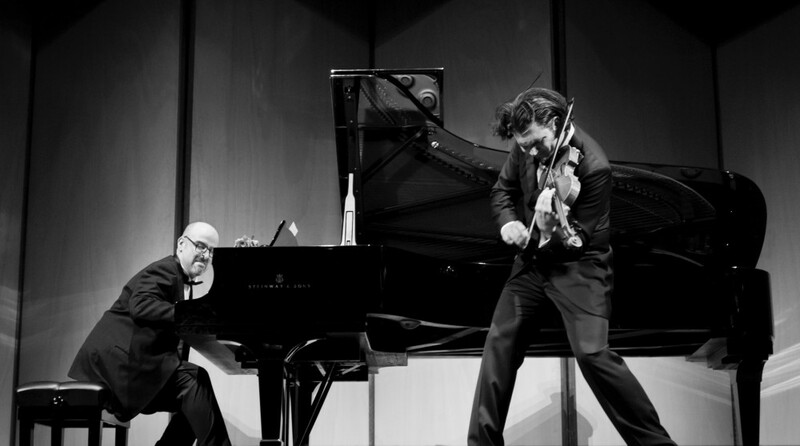 Violinist Brad Repp and pianist/actor Aldo Gentileschi combine virtuosic performances, theatrical humor and pop culture in critically-acclaimed performances. Brad performs on a 1736 Testore violin and Aldo performs on whatever piano he can find.